Really for me this is where it all started! ​On the top deck of the 94 bus one morning on my way to work I noticed a gap between a billboard and a brick wall. Wondering what could be seen in that gap I got off the bus early and made my way back. 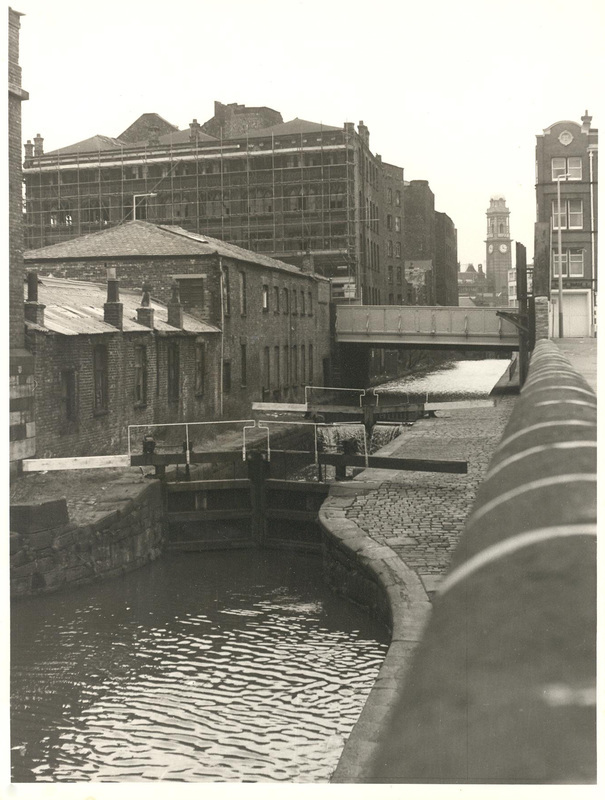 Passing through the gap I went from the traffic noise of the Knott Mill end of Deansgate to a relatively quiet, wide canal bank. 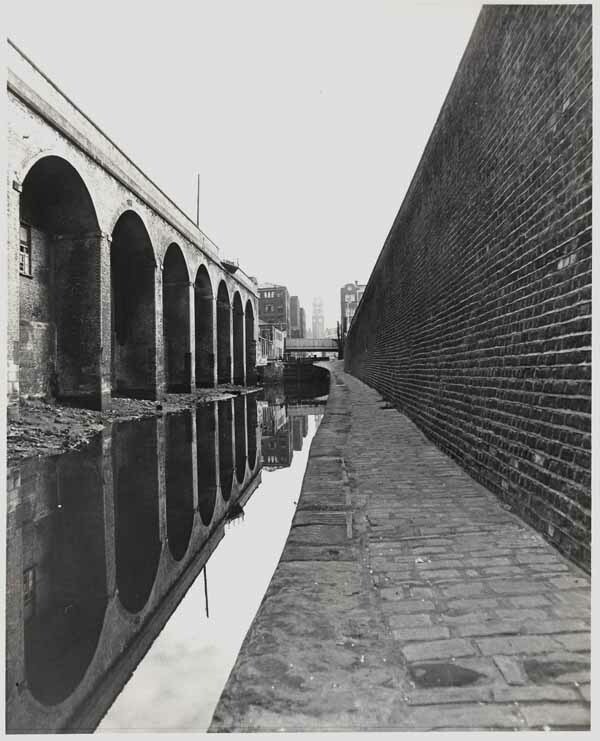 The canal contained the rotting hulls of three old barges. ​At the weekend I borrowed my then girlfriend's bike and cycled back there with my camera. 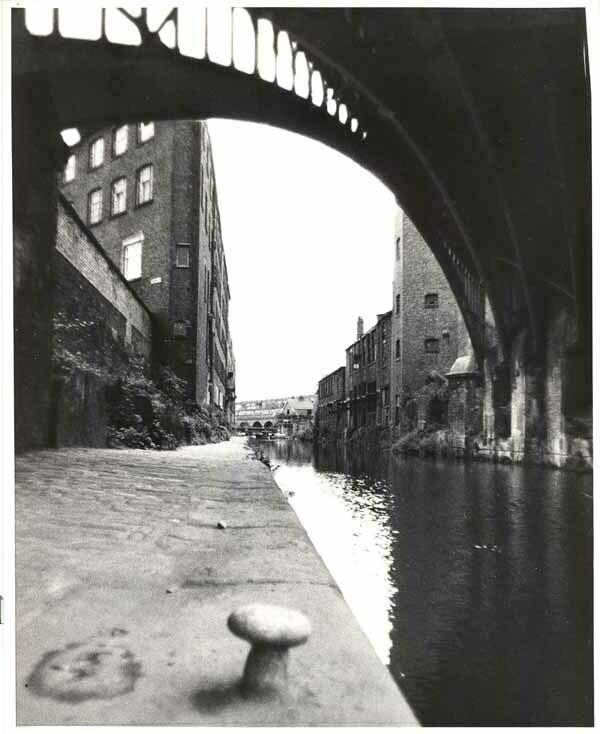 I took photographs there and then pursued the length of the canal, walking on the towpath where I could and leaving it where the path stopped, through the city centre and ending up near Manchester Piccadilly station where the canal goes "underground" before emerging into a large basin. That was in 1983 and I go back every 10 years (sometimes in between) and recreate the journey. I take the photographs that interest me at the time, inevitably some are taken from roughly the same position as previous images because the composition is of interest to me, but this is not always intentional. I'm not deliberately trying to compare the same views at different moments of time. Please forgive the quality of the early images, those shown here are either from scanned negatives or scanned prints - neither of which is very satisfactory.